All aluminum construction featuring a tapered pipe thread (NPT) for a positive seal at maximum operating pressures. 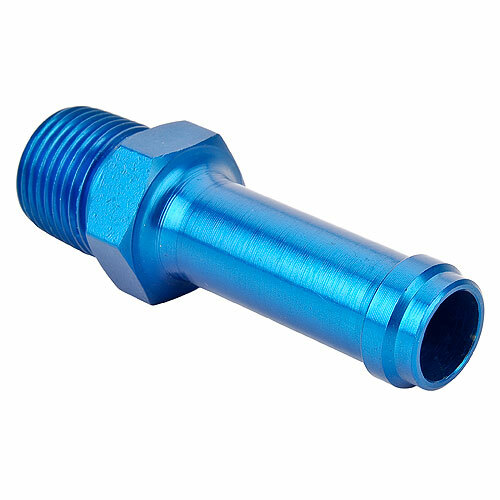 The hose barb end is perfect for rubber hoses and worm gear style hose clamps. Features a high quality anodized finish.